Coronary heart disease is still the most frequent cause of death and disability worldwide, despite the decreasing trend in coronary heart disease mortality observed in most developed countries, explained by the overall decline in both incidence and case-fatality rates. The growing population of acute coronary syndrome survivors, often with significant disability and in need of continuous medical care, places a huge burden over healthcare services, social support infrastructures and countries’ economical welfare. Therefore, mortality indicators offer an incomplete picture to guide decisions regarding performance assessment, healthcare planning and prioritizing interventions, research and resource allocation. Despite efficacious primary and secondary prevention strategies to control coronary heart disease, several studies showed that there is scope for considerable improvement in treatment uptake. Nevertheless patients are still treated too slowly and many are not treated at all in several settings and the reasons for this are consistently related to the same barriers, namely delays in diagnosis, emergency procedures and in the transfer to the catheterization laboratory. In Portugal, there are differences in coronary heart disease outcomes by place of residence, and data from the national registry and from single center observational studies showed heterogeneity in the uptake of reperfusion and revascularization. However, prospective data is missing to answer some important questions, namely those related with determinants of adherence to evidencebased optimal treatment particularly after an event, including those dependent on healthcare and on patient individual characteristics, namely socio-economic position, health literacy and social support. Portugal is actually recognized as one of Europe´s most unequal countries, and the impact of these inequalities on the access to and persistence on evidence-based treatment, and consequently in morbidity and mortality due to cardiovascular disease, is not known. Successful long-term management of CHD depends on patient self-care, therefore the importance of identifying patterns of longitudinal evolution of adherence to drug therapy and critical time thresholds of change in behavior, taking into account the role of socio-economic position, health literacy and social support in morbidity and mortality outcomes. 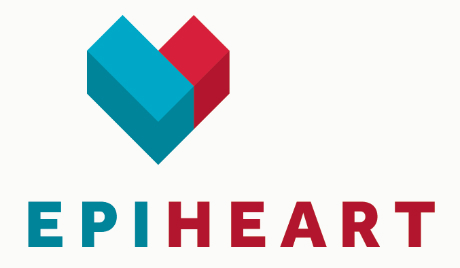 In this project we aim to study the variation in coronary heart disease management and outcomes, taking into account the role of cardiological health care organization and of patients’ individual features, particularly those related with socio-economic position and health literacy, in urban and rural settings in Portugal. The final purpose is to identify inequalities and opportunities for better prevention and rehabilitation, and their determinants, in order to promote a fair and more effective individualized strategy for diagnosis and treatment of coronary heart disease. This will involve two studies. II. Prospective cohort study of acute coronary syndrome survivors consecutively recruited at the cardiology departments of Centro Hospitalr de Sao Joao in Porto and Vila Real. The team’s expertise in cohort studies and in the clinical area of research is fundamental for the feasibility of this project. Its multidisciplinary character and previous collaborations ensure the ability to accomplish this project which approaches important questions that previously available data do not succeed to answer.